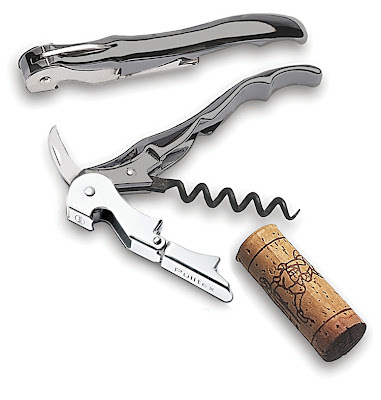 You're probably still using a cheapy corkscrew you picked up at the packy* (either that or that rabbit contraption), either way, you are missing out. It's often the little things that make the difference, and this is one of those little things. Like Mary Poppins and the Rossle garlic press, the Pulltex is practically perfect in every way. The Pulltex our friends had given us many years ago recently went missing and it wasn't 'till I purchased a cheapy replacement that I truly appreciated it. It didn't transform water into wine or anything, it just worked really well without a lot of thought, the way things should, something I cannot say for it's generic replacement. Get one, you won't be sorry, I promise.